There are two common methods for connecting a domain to a 3rd party web host. The first is assigning your web hosts's Nameservers to the domain. This second method retains control of DNS and simply directs incoming web requests to your web server's IP address. 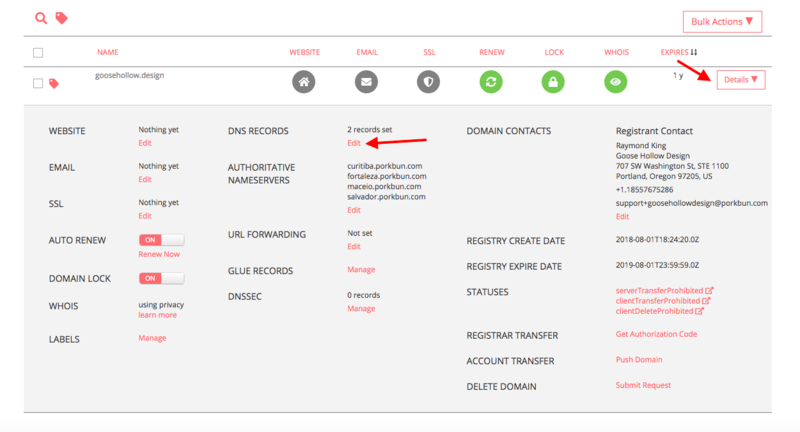 For the first record, make sure that Type is set to "A - Address record" the Host is "www" and the Answer is the IP address provided by your web host, then hit Add. 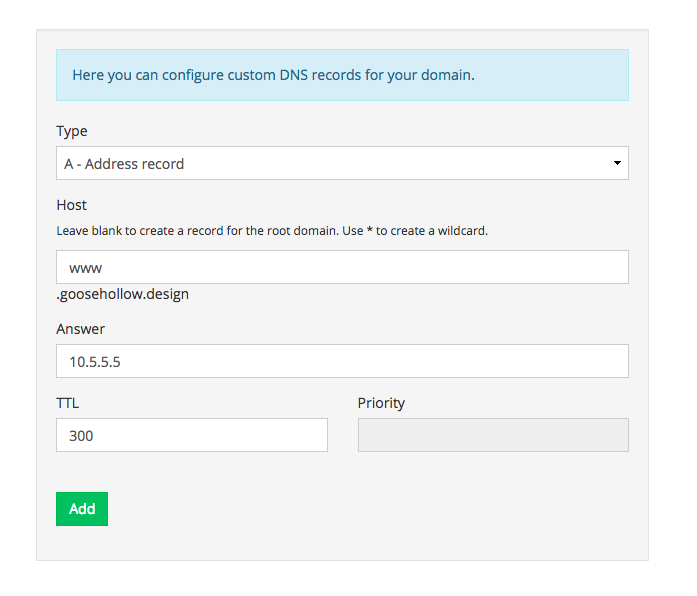 For the second record, make sure that Type is set to "A - Address record" the Host is left blank and the Answer is the IP address provided by your web host, then click Add. Repeat the above steps for each IP address issued to you by your web host. After about five minutes, web browser requests for your domain will begin routing directly to your web server.